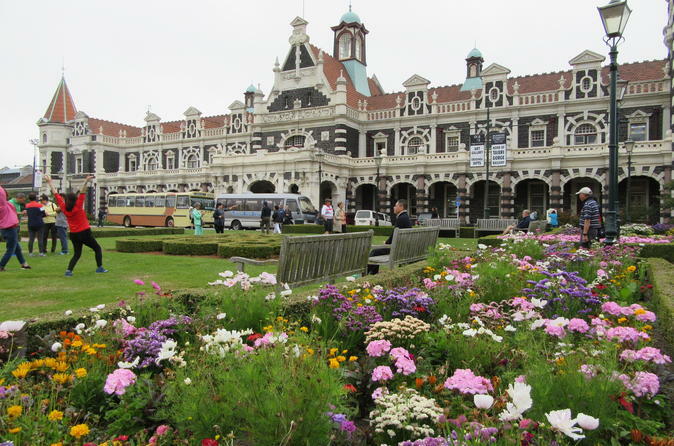 Dunedin er en by full av kultur og historie, og også beleilig nært dyrelivsreserver og uberørt natur. Se begge sider av byen på en dag på denne lille gruppen tur. Ta deg til de sentrale severdighetene, som jernbanestasjonen og den bratteste gaten i verden, Baldwin Street. Spaser gjennom de velstelte hagene til Larnach Castle på vei til Otago-halvøya, hjemmet til albatross, sel, pingviner og sjøløver. Valgfri tur til det indre av Larnach Castle, New Zealands eneste slott! Fantastic introduction to New Zealand! Out guide was full of interesting information about the country and, in particular, the southern peninsula. The pick up and drop off was seamless. The tour was great. The only reason I gave it a four was because Ollie, the leader, did not have a microphone and he was difficult to hear in the back. This was a small group tour so we could ask lots of questions. My favorite stop was the Penguin Place where we learned about penguins and took a walk to see where they nested on the shore. The Castle was beautiful and we were lucky enough to see albatross flying at the Royal Albatross Center. This was a fun and informative trip. Got to see a lot of Dunedin in one day, both the city and the beautiful Otago Peninsula. Our guide picked us up right outside the cruise terminal and returned us there at the end of the day. Highly recommend. It was an extremely uncomfortable tour. 13 adults were,packed into a small van with tight spaces between seats. Most of the time, we cannot hear what the guide was saying, the audio part was not working. 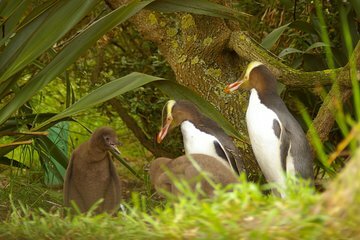 The Otago Peninsular Wildlife Tour was a big disappointment. This was an excellent trip in a small bus with Mark. All the stops were interesting and Mark knew everything about the local wildlife. Shame it rained all day. Glenn was a great tour guide. We saw penguins and sea lions. Beautiful !! The castle and gardens were very nice. Our guide, Ollie, was the best guide we encountered on our excursions in New Zealand. He is a very personable and knowledgeable young man who shared his information intelligently, enhanced with generous doses of humour. Although it was a wet grey day, our visual, auditory, and kinesthetic experiences on this tour were wonderful. We saw everything that the tour advertised and benefited from having Ollie as our guide!